The Korean car maker is working on a fuel efficient engine for the new Verna to be launched in 2017. It will come with a mild-hybrid system which is said to be similar to Maruti’s Smart Hybrid Vehicle by Suzuki (SHVS) available in cars like Ciaz. Besides giving you a better mileage for your car, the mild-hybrid system will help you get a marginal price cut on this medium sized sedan. Here’s how – with this technology, Hyundai can claim subsidy for this car under the Government’s ‘Faster Adoption and Manufacturing of Hybrid and Electric Vehicles’ (FAME) initiative. The Verna 2017 was revealed this year at the Chengdu Motor Show in China and will make its presence in India in the latter half of next year. The c-class sedan will follow Hyundai’s Fluidic Sculpture 2.0 philosophy, however, the curves have been replaced by sharp lines. Along with sporty interiors, the infotainment system will have a touchscreen that will support Android Auto and Apple CarPlay. The wheelbase has been increased by 30mm providing you a better cabin space. Similar to the current engines, the new Verna will feature both 1.4 litre and 1.6 litre petrol and diesel engines with 5-speed and 6-speed manual transmissions and a 6-speed automatic transmission. All in all, people are calling it a mini-Elantra. 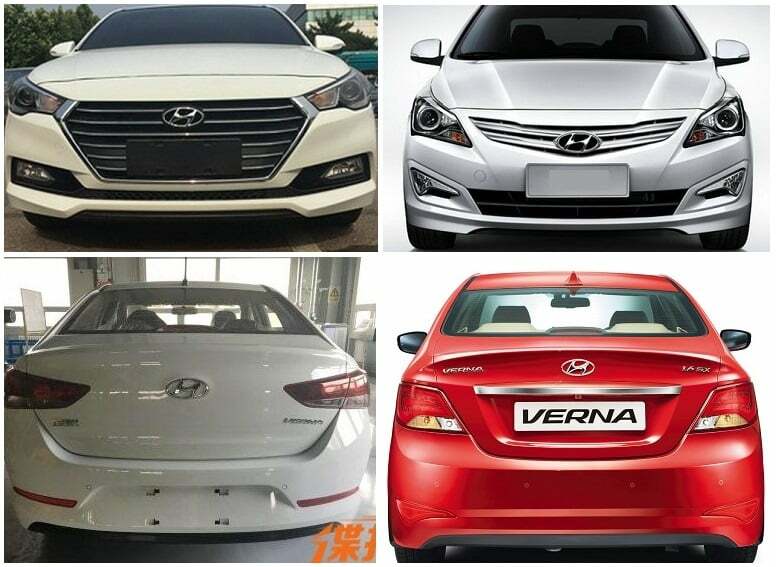 Love the Hyundai Verna but don’t know if Elantra would be a good fit? This car just might be it, a fusion of Verna and Elantra – the best of both worlds!